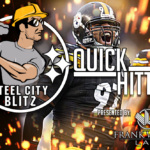 The sizeable hole that Ryan Shazier left with his unfortunate season, and potentially career, ending injury has yet to be filled. Thus, the Pittsburgh Steelers have no other option than to draft an inside linebacker with their first/second round pick. But who might that be? Today we dive into linebacker Mack Wilson. – 2018 Butkus Award finalist (nation’s top linebacker) – Homegrown superstar from Montgomery, Alabama. -Chose Alabama over Auburn, Florida, Georgia and Ole Miss. 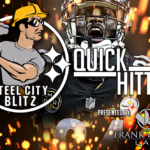 – Steelers met with Wilson at the 2019 NFL Combine. 65 Total Tackles (33 solo), 4.5 TFL, 1 sack, 2 INT’s and 5 PD. Height & Weight: 6’2”, 240 lbs. Hands: 9 2/8 Wingspan: 75 7/8. 40-Yard Dash: 4.65s. . Vertical Jump: 33 Inch. Broad Jump: 10ft 1 inch. Mack Wilson is a freak athlete, standing at 6”2’ and weighs in at 240lbs. His stature provides for efficient speed and big hit ability. Can impound the line to stop the run. Gets downfield quickly. Able to shed blocks, regardless of the opposition. Solid pass coverage. Notable ball-hawking production. Good hands, plus anticipation of play calling. In addition, he has diversity in his arsenal, given that he is an effective blitzer, whether that be at the line, or behind it. Takes good angles on his path to the ballcarrier, whilst using patience to confirm the tackle. Here you can see Mack Wilson’s ability to defend the run, despite having to shed the block of the forthcoming guard. In terms of pass coverage, Wilson is exquisite. As previously alluded to he often contributes game-changing plays across the season. Here, you can see him match the speed of the opposition’s running back, in spite of the blockages in his path. He also has an eye for ball-hawking too. Concerns regarding his atitude, particularly by his execution of late hits throughout collegiate career. Several occasions within which Wilson is unable to control hits. A couple helmet-to-helmet tackles thus far. Perhaps disciplinary issues. Most notably for excessive celebrating. Like the time he sacked Jake Fromm and used his head as means for standing up again by pushing down on his helmet. Mental processing could stand to be improved for sure. Whilst his coverage skills are arguably his best asset, he must improve coverage on crossing routes especially. His Pro Day reflected negatively on his features as a “true” athlete, and will more than certainly effect his stock in the draft. In Wilson’s freshman year, he evidenced an inability to curtail his power in this explosive hit against Texas A&M. 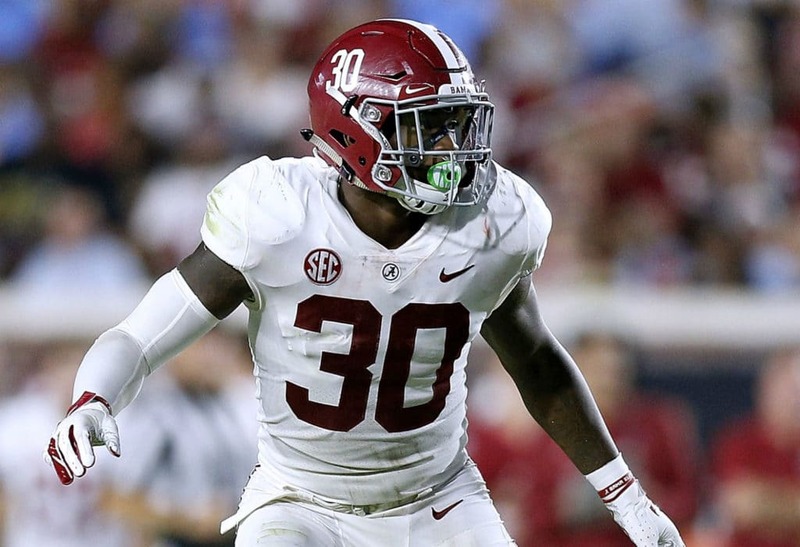 Upon witnessing Mack Wilson’s performances through film, I feel he possesses third round talent, but I could foresee the Steelers (or another ILB needy team) reaching for him in the second. The reason behind this projection is the fact that Wilson’s limitations are evidently large, however, he would make a solid improvement to the ‘Mack’ linebacker on our roster, should he fall to 52nd overall. Conclusively, I genuinely believe that Wilson enters the league in peak physical condition, with his coverage resting as his greatest asset. Of course, he is far from the finished project, given that his speed could be questionable in coverage. That said, he plays hard, fast and ferocious on tape, all attributes that the Steelers admire. With that in mind, I’d be willing to take Wilson in the late second should we miss out on either of the Devin’s or Blake Cashman. That selection however, would ultimately mean that Wilson would need a year to hone in on his craft, learning from some of the older heads in the locker room, which would serve him tremendously well for years to come in my opinion. Games Watched: Louisville 2018, Clemson 2018, Ole Miss 2018, Missouri 2018.